Acai bowls are all the rage in Madison. From where to get them, how to pronounce them and the anatomy of this tricky bowl, I’ve got you covered! First thing’s first…what is an acai (ah-sah-EE) berry? 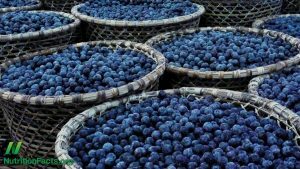 Often found in the Amazon Rain Forest, an acai berry is high in antioxidants and natural sugar, is a catalyst to weight loss, improves one’s skin, and in other terms, is magic on earth. In the US you can only purchase acai berries as a frozen puree. The goal of an acai bowl is to have the consistency of a thick smoothie, almost custard-like. Once you have mastered the blending process of the acai berries, finding the appropriate (and cute) toppings are the next but final feat. Common acai bowl toppings include: coconut, almonds, walnuts, granola, chia seeds, bananas, strawberries, etc. My two favorite places to get acai bowls are Forage Kitchen and Jamba Juice. Forage Kitchen offers three different acai bowls: Gogi Berry High (my personal favorite), Cyc #Partofmytribe Acai and 75 + Sunny. 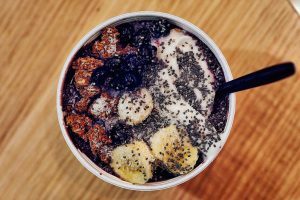 The Acai Primo Bowl can be found further down on State Street at Jamba Juice.